The pharmacological treatment of metastatic renal cell carcinoma (mRCC) has massively changed over the last decade and will continue to change in the future. This article gives an overview of the current and future treatment situation. This overview is based on the research and critical interpretation of the relevant phase II and phase III studies (PubMed), currently available congress articles, e.g. the American Society of Clinical Oncology (ASCO) and the European Society of Medical Oncology (ESMO) and current guidelines, e.g. S3, ESMO and the National Comprehensive Cancer Network (NCCN). The current treatment situation for mRCC is in a state of massive flux. A risk stratification according to the International Metastatic Renal Cell Carcinoma Database Consortium (IMDC) or Memorial Sloan Kettering Cancer Center (MSKCC) model is becoming increasingly more relevant for the clinical routine. Currently, of the pharmacological treatment options vascular endothelial growth factor receptor (VEGFR) inhibition remains the standard option for patients with a favorable prognosis, which also represents an option for the intermediate group in individual cases. The optimal treatment for patients with intermediate and poor prognoses is immuno-oncological doublet treatment with CTLA-4 and PD-1. In the foreseeable future the combination treatment of PD-1 inhibition and VEGFR inhibition will extend the treatment options in the daily routine. P. Ivanyi: Beratung oder Gutachten: BMS, Bayer, EISAI, Ipsen, Merck, Novartis, Pfizer. Vortragshonorare: AIM, AstaZeneca, BMS, Bayer, EISAI, EUSA, Ipsen, Merck, MedKomAkademie, Novartis, Pfizer, Roche StreamedUP!. Forschungsförderung: BMS, Bayer, Lilly, Merck, Novartis, EISAI, Pfizer, MSD, AstraZeneca, Roche, Ipsen. Andere Finanzielle Beziehungen (Reisekostenzuschuss): BMS, Novartis, Merck, Ipsen, Bayer. 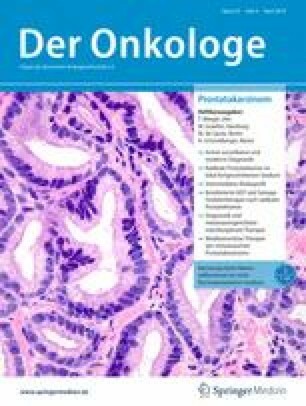 Nichtfinanzielle Interessenkonflikte (Forschungsinteressen): mRCC, R/M-HNSCC, STS, PD-1, PDL1, PD-L2, cMET, Piwi-like, IO, PMSA, BAP1, NLR, CRP. V. Grünwald: Vortrags- und Beratungshonorare: Art tempi, AstraZeneca, Astellas, BMS, Cerulean, COCS, ClinSol, EUSAPharm, EISAI, lpsen, MedUpdate, Merck Serono, MSD Merck, MedKomAkademie, Novartis, NewConceptOncology, Lilly, Johnson & Johnson, PharmaMar, PeerVoice, Rache, StreamedUp!, ThinkWired!. Förderung: BMS, Novartis, EISAI, Pfizer, MSD, AstraZeneca, Rache, lpsen. Aktien- und Anteilsbesitz: AstraZeneca, BMS, MSD.